Improve any Chobe safari with something a little more unusual. 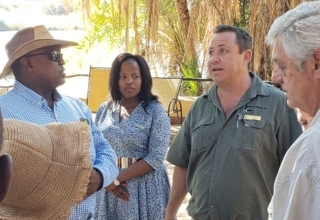 A couple of weeks ago, we took part in the #ThisisChobe travel campaign to celebrate everything we love about the abundant plains and waterways in northern Botswana. 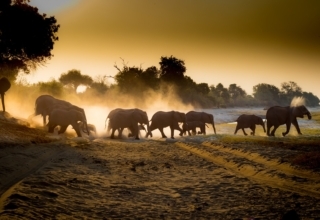 The winding Chobe River establishes Botswana’s border with Namibia and forms the upper boundary of the enormous, game-rich Chobe National Park. With plentiful water sources and a sprawling protected wild habitat, Chobe is a sanctuary for many birds and animals. Most magnificent of which has to be the high concentration of elephants. 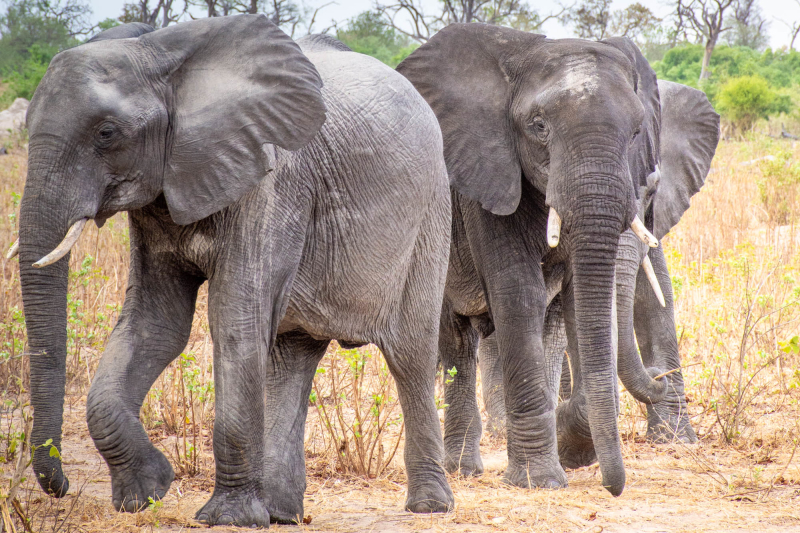 Nowhere else in Africa can you see more of these massive mammals. 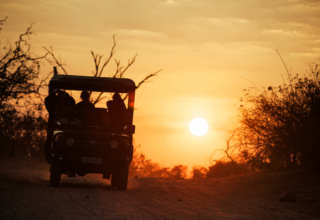 Explore northern Botswana and use these five ways to make sure your next Chobe trip is unforgettable. Just a short walk away from Chobe Safari Lodge, this historical landmark baobab has an unusual history. Almost entirely hollow in the middle, this big tree was broad enough to hold prisoners. Strategic points were sealed off so that the mighty mowana (which is the Setswana word for baobab) could be used as a cell during the 1800s. 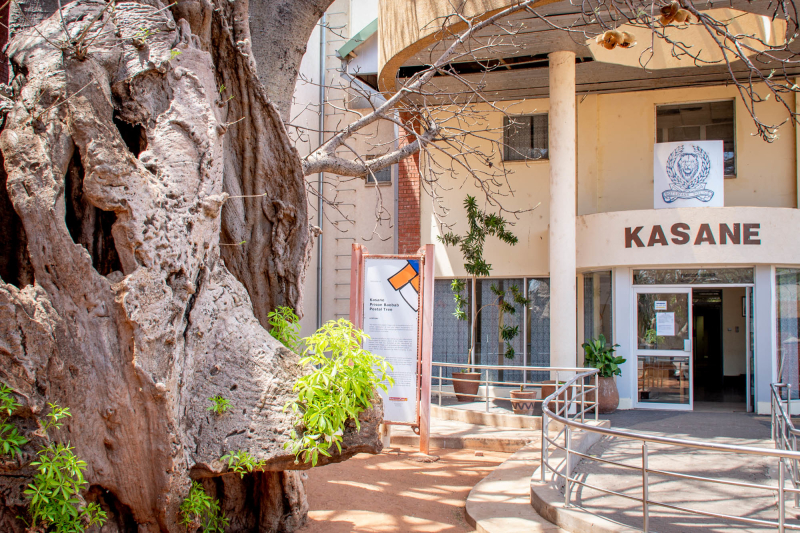 The historic tree sits beside the far more modern Kasane police station and there are several information boards around it so you can learn more about this intriguing botanical history. Just past the old baobab tree, you’ll find street vendors and the informal market stands set up around Hunter’s Mall (where the Spar grocery store is). 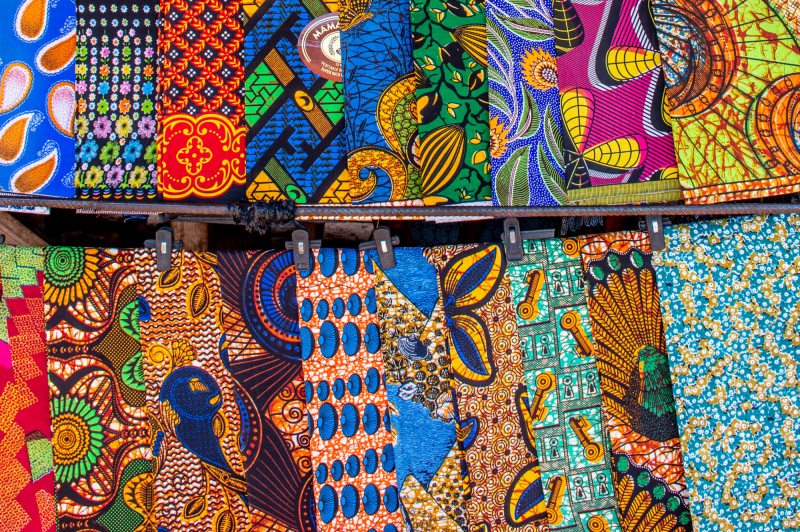 Wander the stalls and you’ll find colourful wax cloth, shoes, electronics and local food. The most unusual for visitors to Botswana is surely the humble mopane worm. Commonly called a worm, these caterpillars are actually the juicy grubs of the wide-winged Emperor moth. 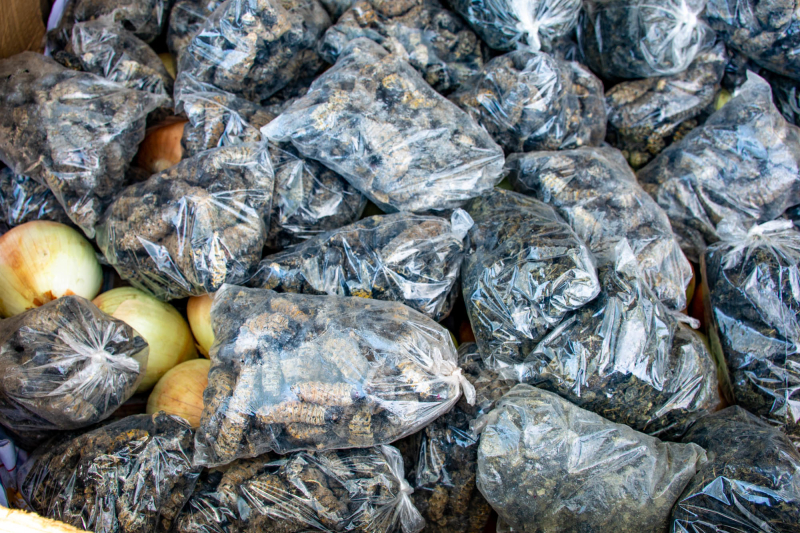 The colourful worms are plucked from the prolific mopane trees that grow in the area, dried and packed to serve as little protein snacks. They can be eaten dry or fried up again with a sauce. According to a Zimbabwean nutritionist, Marlon Chidemo, these “worms are high in healthy nutrients and contain three times the amount of protein as beef”. For a tamer taste of the Chobe, you can always try the locally-farmed Chobe River Bream instead. Battered and served with fries, you’ll find it on the menu at Chobe Bush Lodge. Have you ever heard the story of Sedudu? Once upon a time, Sedudu didn’t have a home. An island, Sedudu is completely surrounded by the Chobe River and many tried to claim it (even though it vanishes underwater for months at a time when the waters flood down from Angola). In Namibia, Sedudu is known as Kasikili Island. However, Botswana won the right to stake the name as Sedudu and welcome it within its borders. 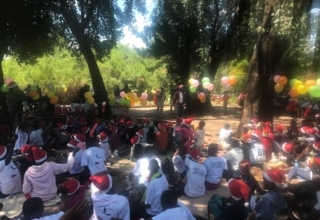 The land dispute was a matter so dear to these residents, it had to be resolved by official intervention from the International Court of Justice in 1999. 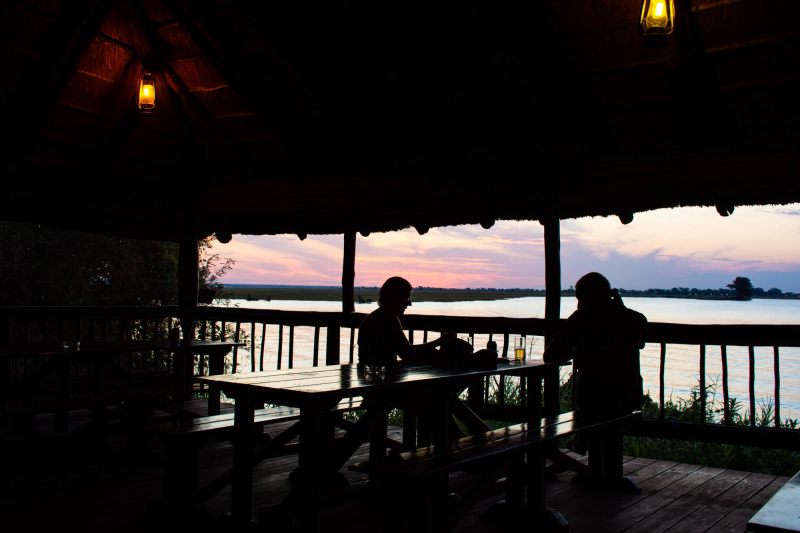 Order an icy St Louis beer (the local beverage of choice) and celebrate Botswana’s victory by enjoying a Chobe River sunset from Sedudu Bar. Find it inside the Chobe Safari Lodge campsite and don’t forget to bring your binoculars to watch the wonderful waterbirds flying home to nest. One of the most unusual things you can do in Chobe. 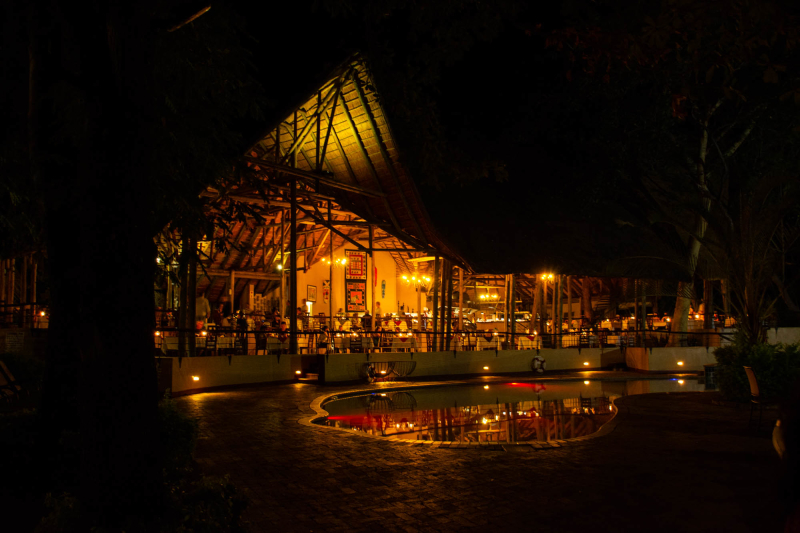 End off your stay in style with a memorable meal served in the smooth waters of the Chobe River. A candlelit-table will romance any evening. Then, once delectable dinner is over, the upper deck serves as a sensational stargazing site. 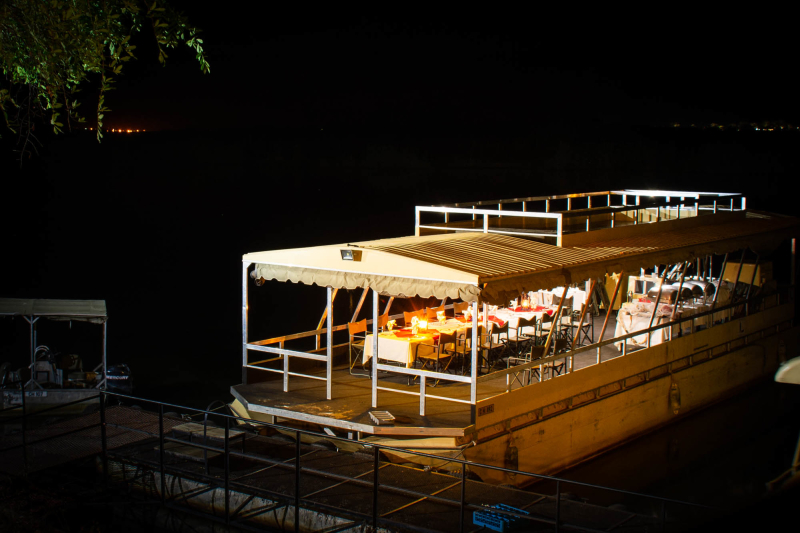 Read more about dinner cruising on the Chobe River here. Last but not least, Chobe is famous for its unusual game-spotting approach. 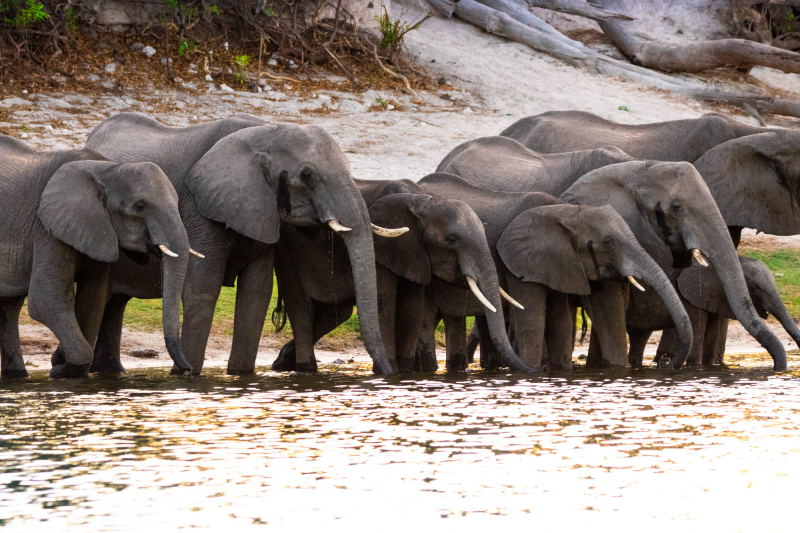 Where else can you glide alongside a herd of elephant wading in the water? 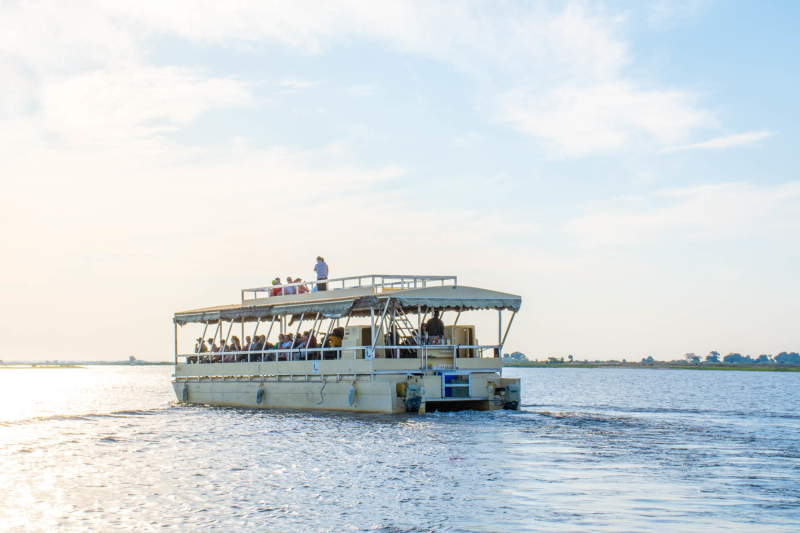 Join in the merriment of an afternoon sunset cruise with well-qualified guides, such as Connie Moremong. 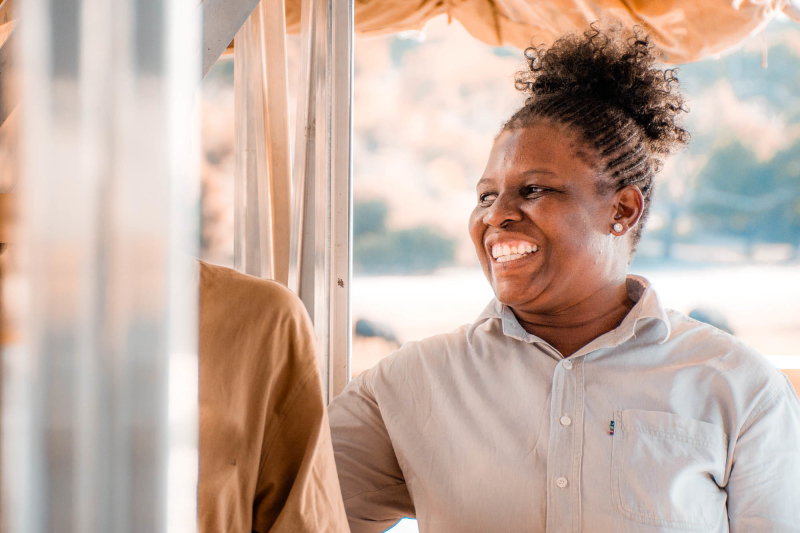 She’ll tell you about the 731-kilometre journey the Chobe River takes from source to sea, about the fish and frogs who call these waters home, and more. “If I had to just name frogs it would take the whole trip!”, she exclaims. 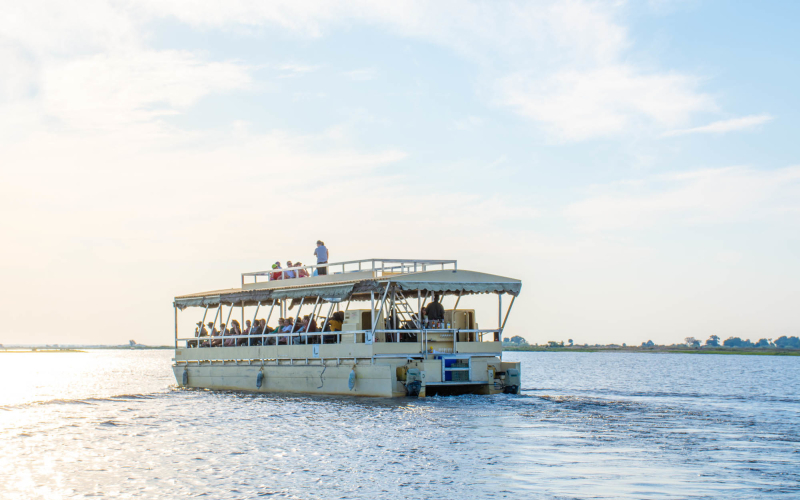 Otherwise, hire a private boat in the morning (between 7am and 2pm) for a more intimate experience of the Chobe River. 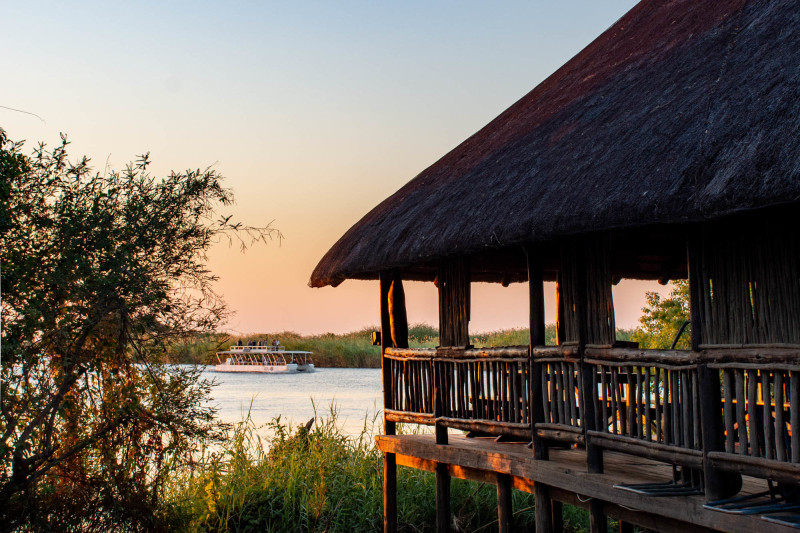 Kasane is home to two Under One Botswana Sky’s Chobe lodges. 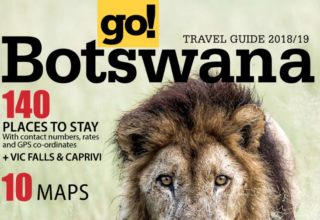 This wild town in the northernmost stretch of Botswana has no fence to the park and wildlife often roams free. Game you can expect to see in the neighbouring Chobe National Park includes the four of the Big Five (elephant, buffalo, lion and leopard). Plus, the watery Chobe plains offer sightings of hippo, Red lechwe, puku, sable, crocodile and even wild dog. 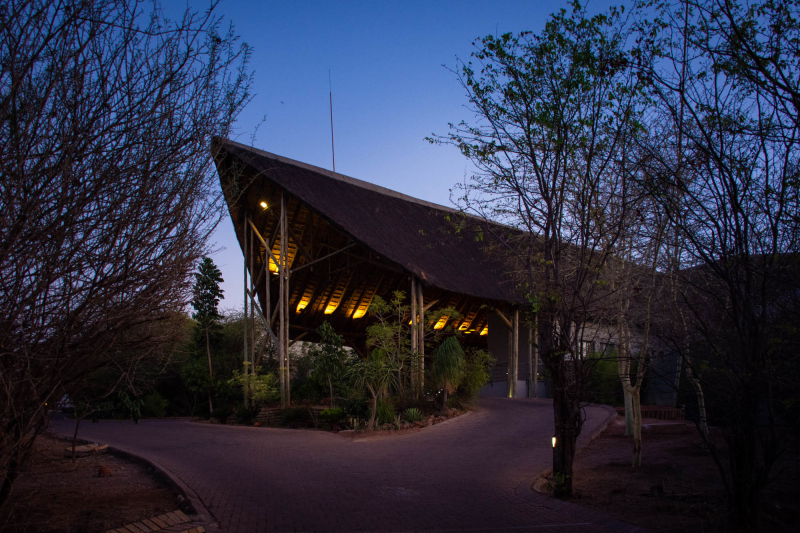 A true, trusted establishment in Kasane, Chobe Safari Lodge has helped travellers explore Chobe National Park for over fifty years. Set up to overlook the charming Chobe riverfront, this lodge is the only one in town sharing a border with Chobe National Park. Contact us to make the perfection reservation in Chobe.